Wine’s always been our thing, hasn’t it? It’s just the perfect accompaniment with most foods, exotic or otherwise; and while most of us have had a chance to sample some real beauties, there’s still a lot left to tempt our taste buds. The Wine Table in Bandra is catering to this single need – sample the best from around the world, and the best bit? It’s affordable. As soon as you walk in, it reminds you of a wine cellar, stocked up with rows and rows of lip-smacking bottles of vino. Think about it – a cosy dinner date with that special someone, smack dab in the middle of wine racks. It sure does sound like the perfect place for a date, doesn’t it?You can take your pick from red, white, sparking or rose wine here, from countries like Argentina, Australia, Chile, France, Italy, New Zealand, Portugal, South Africa, Spain and the US. With over 450 wine labels to choose from, there’s something new and exciting for wine connoisseurs and newcomers alike.Selection of wine by the glass starts from INR 40 (excluding taxes). And, the best bit? 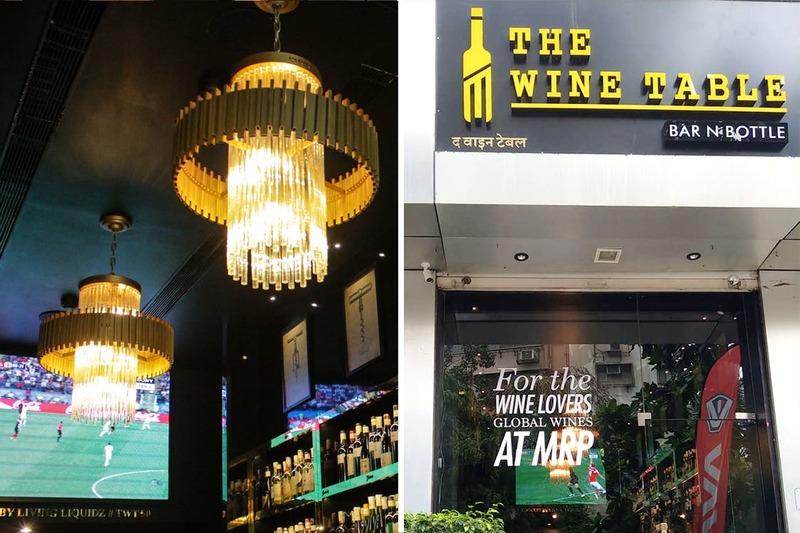 Every glass and bottle is sold at MRP, so you don’t end up paying extra like you normally do.Apart from this, they also have sommelier-led wine tastings where they cover different wine regions from across the globe (how exciting! )For nibbles, you have small plates to pair with the wines. So, you can take your pick from vegetarian dishes, chicken, prawns dishes and pork. Apart from this, you also have a personal wine advisor to help you make the right selection, based on your palette and preference, and even in case you want to gift a bottle to someone close. Apart from the lure of getting to sample wines from across the globe, we’re really kicked about how they every drink is sold at MRP. Guys, head out here for an awesome evening. And, don’t forget to thank us later.